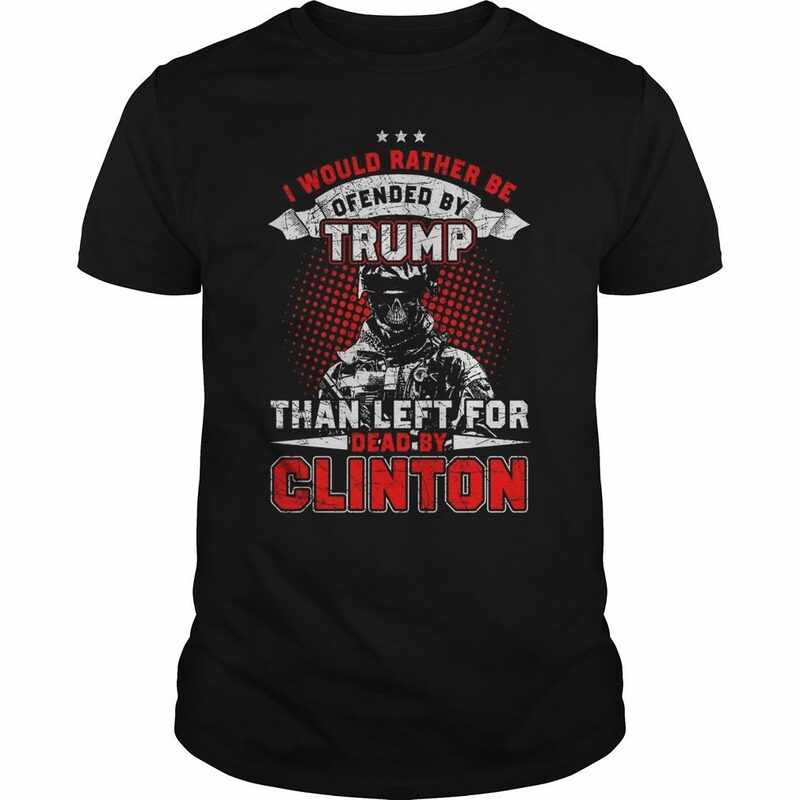 I would rather be offended by Trump than left for dead by Clinton shirt. 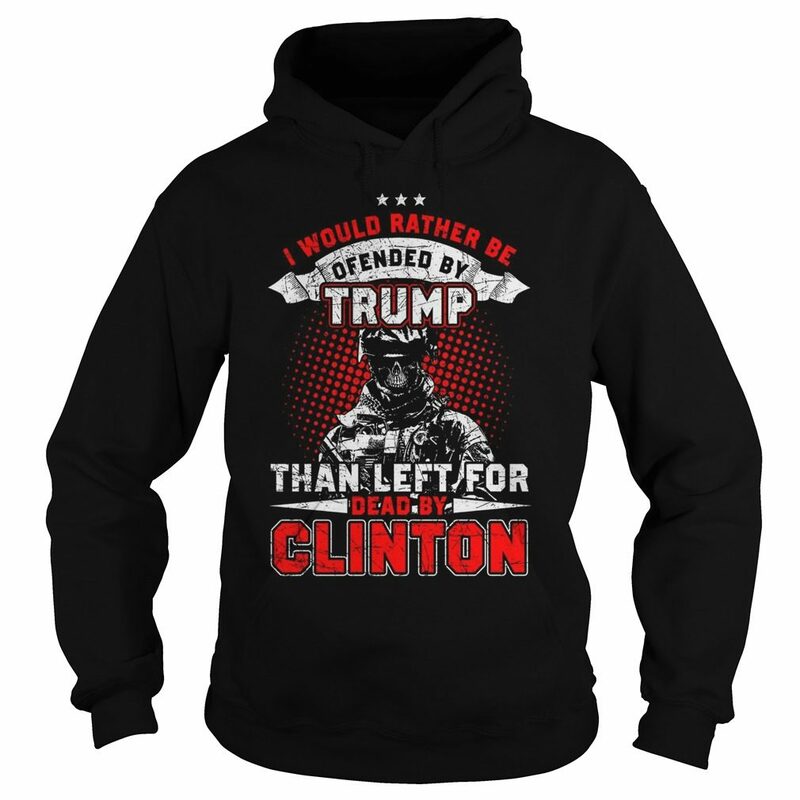 Everyone should vote for Trump. He will make a good president for America. 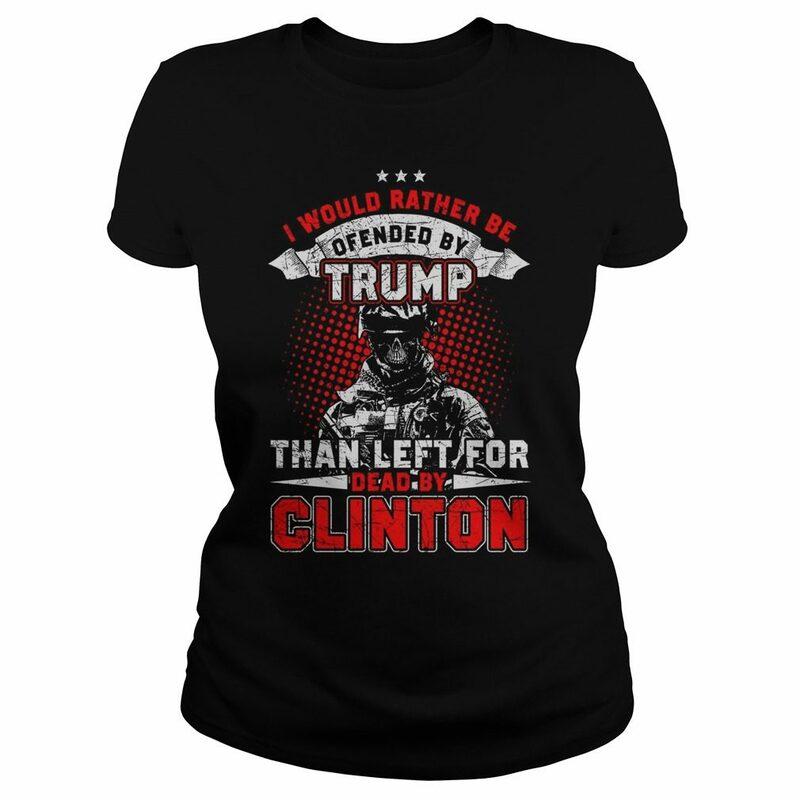 I would rather be offended by Trump than left for dead by Clinton shirt. 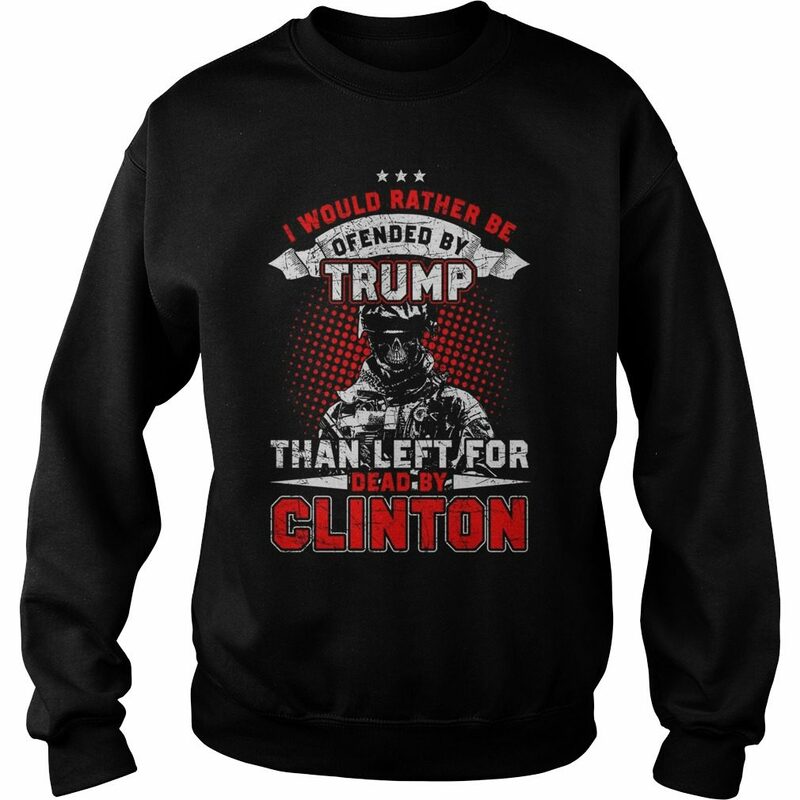 Everyone should vote for Trump. He will make a good president for America people are so tired of being over worked and over Tax and under payed and unappreciated. Maybe if he paid his fare share your wouldn’t be so high! This man knows nothing about running a country nothing! And he’s not interested in learning! I Am sorry but my family cannot afford a idiot for our president! I would rather be offended by Trump than left for dead by Clinton shirt. He talks about bring jobs back while all his suits and ties are made in Mexico and china, don’t u think if he was concerned about jobs for Americans, his factories would be here with American workers making those suits and ties? Trump don’t care about u or your family, and am praying he lose this election, I will be voting for HRC because she’s our best chance.